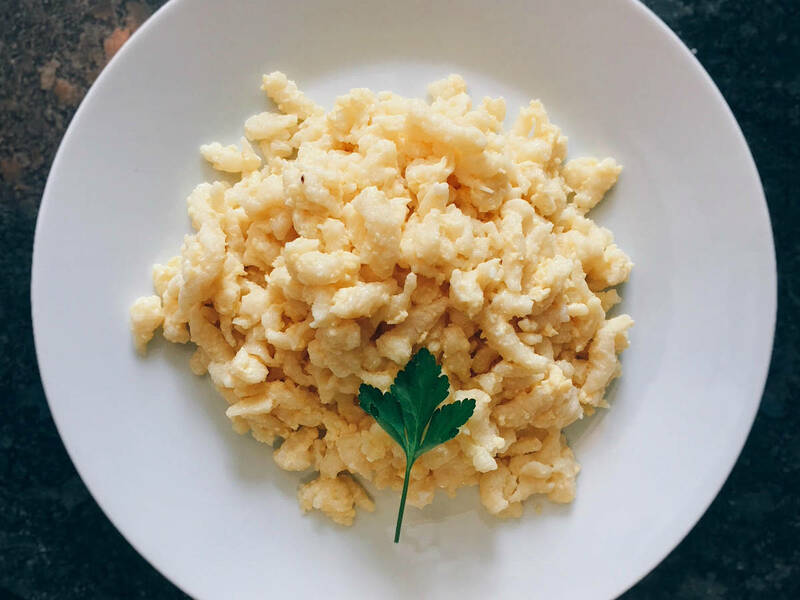 For the spätzle, combine flour, a third of the eggs, milk, sour cream, and olive oil. Press the dough through a spätzle sieve or similar and drop into salted boiling water. When the egg spätzle rise up and float on top, they can be removed from the pot with a slotted spoon and rinsed with cold water. For the egg mixture, whisk remaining eggs, salt, and heavy cream. Fry in hot butter, then stir. Fold in the spätzle and enjoy!